Jeff Thomas, internationally renowned Urban Iroquois photographer, will visit the SIUE campus again this March to open a show of his work, titled Birdman Rising: Conversations beyond Colonialism. The show will feature photographs Thomas took during his last visit to the area, including photographs of Native American artifacts from the SIUE University Museum collections and landscapes at local Native sites such as Cahokia Mounds. 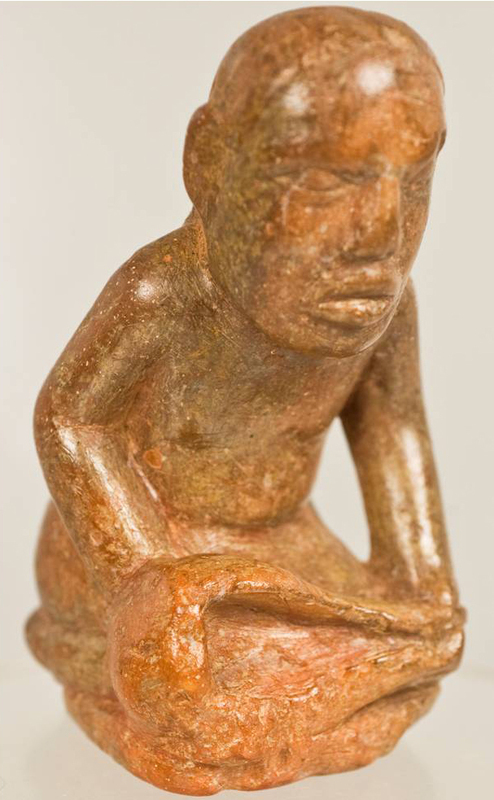 The Birdman is a powerful symbol of Cahokia and also represented in the University Museum collections. As the title of the show suggests, the portrayal of these artifacts and local landscapes in Thomas’s art seeks to engage the audience in a dialogue with Native Americans in the contemporary world. The show will be open and free to the public at the Edwardsville Art Center from March 23 through April 20. Thomas will be at the opening Friday, March 23 from 6 to 8 pm. At SIUE on Wednesday, March 21, at 6 pm, we will screen a documentary about Jeff's work - Shooting Indians: A Journey with Jeffrey Thomas (1997). At 7 pm, following the film, Thomas will give a lecture titled A Necessary Fiction: An Urban Indian in the Archives. Both the film showing and lecture will take place in Peck 2304. Thomas is a guest of Native American Studies and its contributing departments, Anthropology, Historical Studies, and Philosophy. His visit is made possible by a generous grant from the SIUE College of Arts and Sciences Targeted Funding Initiative. 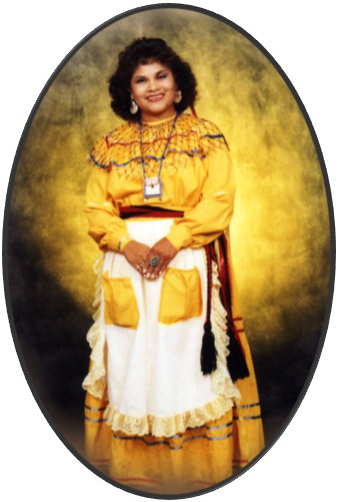 Joanne Shenandoah (Oneida Iroquois) is a Grammy award-winning singer, recording artist, and educator. Her sold-out concert Saturday night was the first Arts & Issues event for the 2017-18 season. Joanne also gave a worshop at Center for Spirituality and Sustainability (the Dome) Saturday afternoon titled "Healing and Sound." Doug George-Kanentiio (Mohawk Iroquois) is an award-winning native journalist, editor, and author. On Columbus Day (better remembered as Indigenous People Day), George spoke to the SIUE community about the legacy of the Iroquois as the model for the United States government. George also observed Columbus Day with his wife, Joanne Shenandoah (Oneida Iroquois), at the Cahokia Mounds Interpretive Center on Sunday, October 8. Their presentation was appropriately titled, "Honoring the First People of this Land." Drawing from more than 20 years research in NW Coast Native pigments and paint technology, Melonie Ancheta discussed and shared insights into the role colors play in NW Coast Native cosmology and objects of ritual and power. Ms. Ancheta’s groundbreaking analysis of paint pigments on historical Northwest Coast artwork has been published in a variety of journals and book chapters, such as SIUE Professor of Philosophy Gregory Fields’ edited volume and media collection, A Totem Pole History (University of Nebraska Press, 2013). 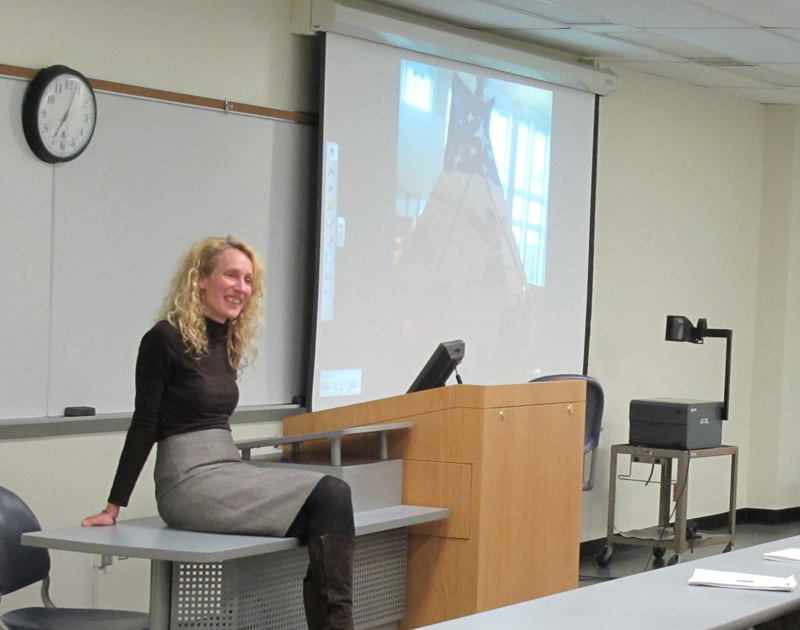 The Native American Studies program hosted panelists Suzanne Kutterer-Siburt and Ardina Moore in this presentation, which was part of the CAS Colloquium Thinking About Community. We welcomed Suzanne's presentation about the Mounds project, but it was a unique honor to hear Ms. Moore, Elder and Chairperson of the Cultural Committee for the Quapaw Tribe of Oklahoma, speak about her efforts to preserve her culture and language. Ms. Moore is the granddaughter of the Quapaw tribe’s last chief. In addition to her duties as Cultural Committee Chairperson, Ms. Moore teaches Quapaw language classes, a critical act of service to her community given that she is the last fluent speaker of the Quapaw language. In addition, Ms. Moore is an award-winning creator of Native fashion and art, a business owner, and a member of the Oklahoma Women’s Hall of Fame. We hope Ms. Moore will visit SIUE again soon! Jeff Thomas discussed and showed images of his photographic and curatorial work from 1997 to now. Themes in his earlier work include his father/son relationship in urban landscapes and his engagement with Edward Curtis’s work. His current project explores pre-colonial indigenous art in juxtaposition with the post-industrial landscape of the Mississippi River waterfront. Felix Solomon is an active member of the Lummi Nation (one of the Coast Salish tribes) and one of the most significant Native American carvers in the United States. Mr. Solomon was the featured artist at the Smithsonian Institution's 2012 American Indian Living Earth Festival and is a collaborator of SIUE Professor of Philosophy Gregory Fields on the book and media collection, A Totem Pole History (University of Nebraska Press, 2013). Mr. Solomon spoke to us about his art, which includes totem poles, canoes, ceremonial masks, and other spiritually empowered wood carvings, and how he is inspired by his North Coast heritage. He also spoke about his work as a cultural conservator and teacher who strives to preserve the works of his ancestors while mentoring younger carvers as they perpetuate tribal traditions and also respond to contemporary themes. Ms. Brown came to SIUE from the Chickasaw Nation in Ada, Oklahoma, to speak about the challenges of balancing contemporary and historic culture. She has a master’s degree in Anthropology from Mississippi State University and is Historic Preservation Officer for the Department of Homeland Affairs in the Chickasaw Nation. Her visit to SIUE was sponsored by Native American Studies and the Departments of Anthropology, Historical Studies, Philosophy, and Political Science, as well as the Office of the Vice Chancellor for Administration. The Illinois Department of Transportation (IDOT), in collaboration with the Missouri Department of Transportation and the Federal Highway Administration, constructed a new bridge over the Mississippi River at St. Louis. From 2009 through 2012, teams of archaeologists including many SIUE alumni uncovered the well-preserved remnants of an early Mississippian tradition city (A.D. 1000-1250). Nearly 6,000 habitation features were discovered beneath layers of rubble. The unexpected discovery of a mound remnant and associated human remains posed one of several challenges that were resolved through meaningful consultation among Native American tribes, archaeologists, and engineers. This presentation summarized significant archaeological discoveries and the tribal consultation process. Drawing upon extensive fieldwork within a Navajo community and as a curator in an art museum, Jill Ahlberg Yohe discussed the social life of weaving within Native communities and its place within fine art settings. 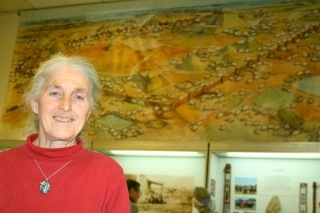 For the news story in This Week in CAS, click here: http://thismonthincas.com/2012/10/14/native-american-curator-ahlberg-yohe-speaks-at-siue/. Cahokia is unique, the only true city in America north of Mexico. Its dates are the same as those traditionally given in Mexican history for the "Toltec empire." Dr. Kehoe believes Cahokia's grid plan of plazas and mounds looks like the idealized Mesoamerican city known as Tollan, a "Place of Reeds and Rushes." Dr. Kehoe argues that Cahokians may have traded fine tanned deer hides and slaves downriver and across the Gulf of Mexico to Mexican markets. Today's Osage Nation believes its ancestors were the lords of Cahokia, and that they traded with Mexico. Dr. Kehoe's presentation was approved by the Osage Nation now at Pawhuska, OK.
Dr. Van Eck spoke about the cultural, political, and economic factors leading up to this incident, including new information uncovered by the speaker. This comprehensive overview of the last major military action of the U.S. against the Native peoples of this country was based on meticulous research of historical records, personal papers, and oral histories of the descendants of survivors of the massacre. A balanced perspective that considers both sides of the story was presented along with a vivid description of the event itself. An analysis of the continuing importance of Wounded Knee for present-day Native peoples was offered. The presentation promoted intercultural dialogue by providing a common knowledge base for both cultures, filling knowledge gaps for non-Natives. Over 50 rare archival photographs and hand-drawn maps from the 19th century were presented. Visiting Scholar Dr. Annalyssa Gypsy Murphy helped launch the Native American Studies program in the 2010-2011 academic year. 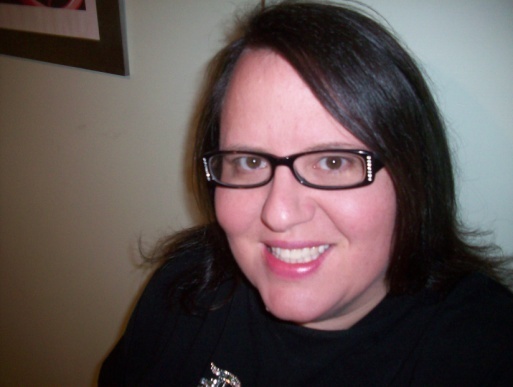 She came to SIUE with a PhD from Clark University in Massachusetts, where her dissertation research examined Native American literature as a form of social protest. Gypsy is a dynamic teacher and bridge builder of Blackfeet-Cherokee-Scottish-Irish ancestry. We are grateful to her for the vision and passion she brought to our program.